For information of any kind, requests and information please contact our friendly reception desk at +39 04747 74 86 02. Please note that your reservation is only valid after receipt of a written reservation confirmation and a deposit. Inquiries to the hotel are non-binding and do not constitute a definite reservation. Price information in Euros: Our room rates are per person/night including half board for a minimum stay of 3 nights. Not included is the visitor’s tax of 1,90 Euro per day and person starting from an age of 14 years. Please note that all our rooms are non-smoking rooms and that smoking is prohibited everywhere! In order to guarantee a definite reservation, we reserve the right to charge 25% of the total amount of your reservation as a deposit, which must be paid within 7 days. 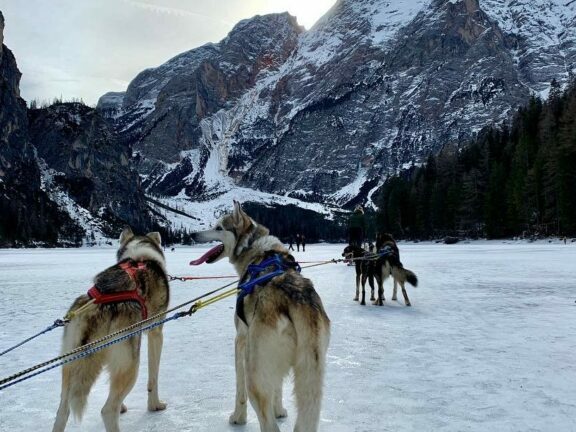 Your reservation is considered binding once it has been confirmed by Hotel Lago di Braies by e-mail. From this moment on, cancellation conditions apply, even if the deposit (=fee) has not yet been paid. In our establishment you can pay with your debit card, VISA, Mastercard, American Express, Bancomat as well as in cash. If the reservation was accompanied by a deposit or credit card guarantee after it was accepted by the guest, your deposit will be refunded up to 15 days before arrival in case of cancellation. In case of a cancellation after this date, the deposit will be withheld as a fee. The hotel reserves the right to request the kind of deposit. Arrival: Your room will be ready for you on the day of arrival starting at 2:30 pm. If you plan on arriving after 6:00 pm, please give us a call. Departure: On the day of departure, we ask you to vacate your room by 11:00 am. You are welcome to use the hotel and the parking lot on your entire day of departure. WLAN is available free of charge in all our rooms and common areas. We ask for your understanding that we cannot guarantee 100% availability of the internet due to the special location of our hotel in the middle of the mountain landscape. 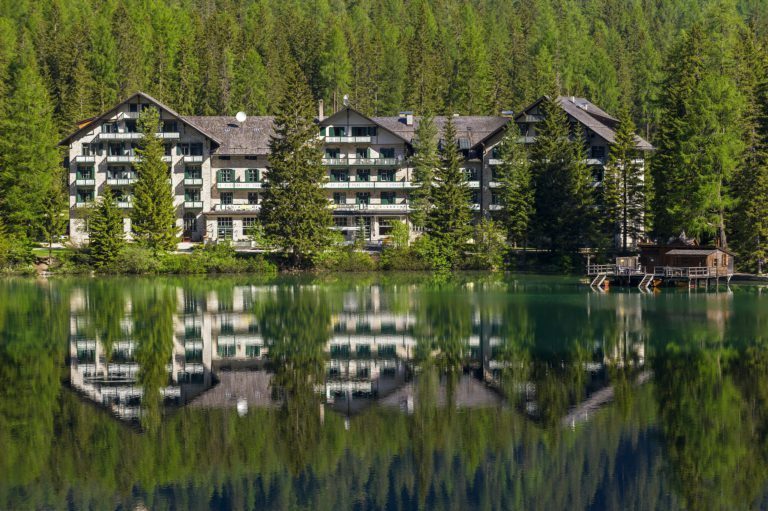 Your wardrobe contributes to the overall atmosphere in the Hotel Lago di Braies. Business-casual is always the proper way to dress, in the evening as well as in the restaurant and at the bar. Guests with a minimum stay of three days are permitted to park in our priority parking lot in front of the hotel. If you stay less than 3 nights, please park in our tourist lot. The parking lot is free of charge for all hotel guests for the duration of their stay. We would be pleased to welcome your four-legged friends! Pets are allowed upon request. One dog per room is permitted (additional charge: 20.00 Euros per day not including food). We reserve the right to bill you for any final cleaning required upon your departure. We ask for your understanding that our four-legged friends do not have access to the dining room. Out of consideration for other guests, a leash must be used throughout the entire hotel. Thank you for your understanding! All information, especially prices are without guarantee. Errors and mistakes are reserved. Current prices lose their validity when new prices are published.